With touch phones, people always look out for the best keyboard possible. After all, the keyboard has to be as smart as the phone itself or it becomes the biggest let down to a great smart phone experience. 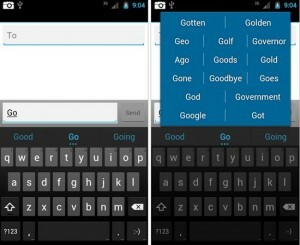 Â Â Â Â It may be safe to say that gone are the days of physical QWERTY keyboards on the handset. 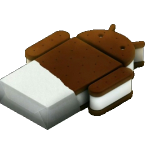 We need slimmer phones, with the biggest screen possible in the smallest footprint possible. Having a great keyboard becomes quite the necessity to a smooth user experience. After all, the keyboard is STILL our preferred choice of input. 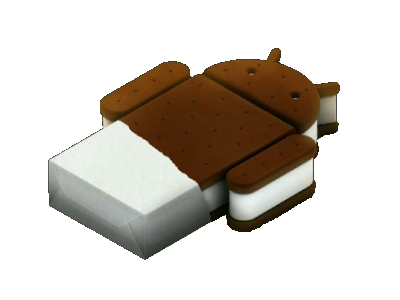 Android 4.0 or Ice Cream Sandwich (ICS) keyboard is a massive leap over the Gingerbread version. Whereas the ICS stock keyboard has an excellent Speech-to-text converter, most people hardly seem to use it practically, at least not in their daily work lives. 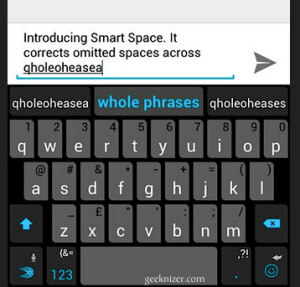 Besides that, it has been improved with user dictionaries, auto correct, and word suggestions. The SwiftKey Beta 3 is an amazing concept. They completely do away with one having to use the space key, and word prediction is a fantastic innovation. No wonder they have won the Best Dev award. Having said that, the Galaxy Note being the beast it is, it often becomes very difficult and a tad irritating to type with one hand while holding the Note in the other. 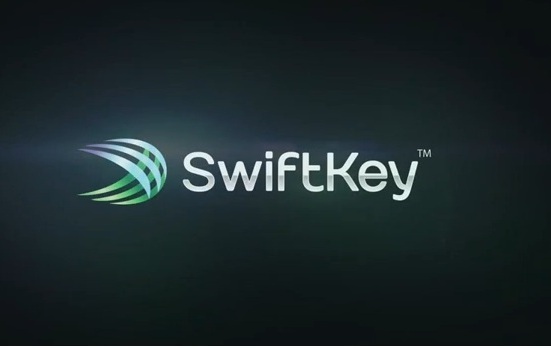 Effectively, SwiftKey is rendered pointless as one has only the fingers from one hand to so-called fast type.Â Click hereÂ to go to the XDA thread and download SwiftKey Beta 3. 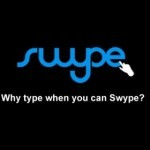 Here is where Swype comes in. It is the perfect foil - hold your Note in your left hand and swype away with your right index finger. It is at least as fast, if not more, than SwiftKey. Yes, it DOES NOT have next word prediction. 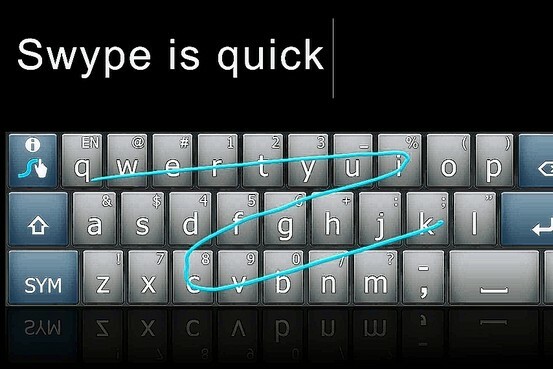 But the speed at which Swype types each word is more than enough to compensate for the speed lost by it not predicting the next word one MIGHT be wanting to type. 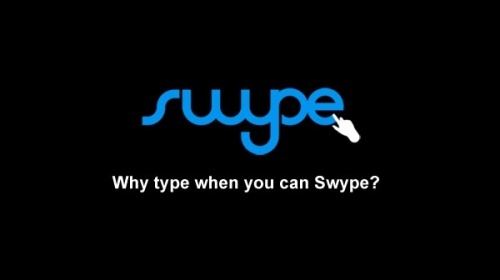 One trick though, DO NOT go to swype.com and try to download the Beta. The 800 x 1200 resolution of the Note is wrongly interpreted as if it's a Tablet, and the downloads offered are only for the Tab version. Folks at XDA have been kind enough to upload the APK, which can be downloaded and installed.Â Click hereÂ to go to the XDA thread and download the Swype Beta. I will keep dabbling between SwiftKey Beta 3 (hopefully they release a better faster Release Candidate soon) and Swype Beta. 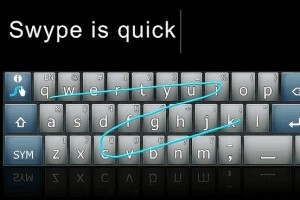 As it stands for now, Swype Beta 3 wins my vote as the most effective keyboard.